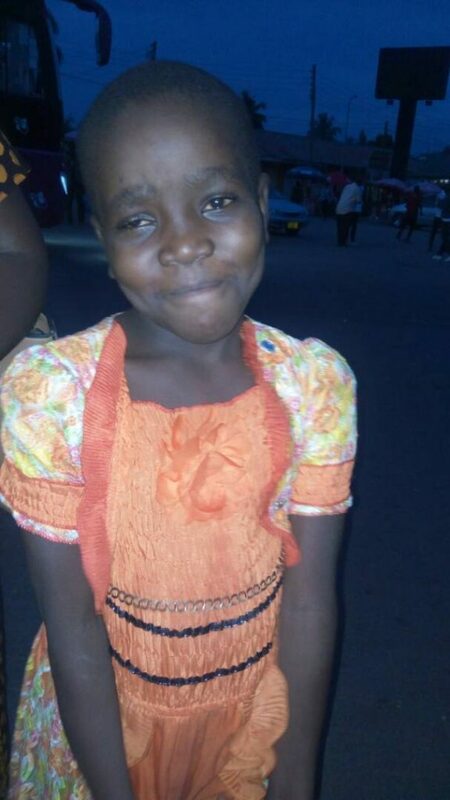 After a very difficult time and two operations , Shida is on her way back to Mayega with sight restored to her right eye! Things are still a bit blurred following the retinal attachment but doctors have told her that will improve as her eye heals. She is facing life with renewed independence. She is able to move around alone now rather than being led and can see herself in a mirror. This transformation has brought her great joy and she likes to sing and make jokes. She will make the long journey back to Kilimanjaro in mid August for a check up and surgery to remove the cataract in her left eye. She is very attached to Matron who has been her guide and comforter since she was admitted to the Mayega Children’s Centre only 4 long weeks ago. Shida still faces many hurdles but she is a brave little girl. In time we will look at her educational and other needs. Meanwhile, doctors have advised that she rest before the next surgery. Thank you to all the Busega Scotland supporters who have made this possible through their continued support. « 11.6.18 Better than Bannockburn?